We really enjoy the sounds V-Station can make. This soundset delivers all the Essentials you need in your studio. 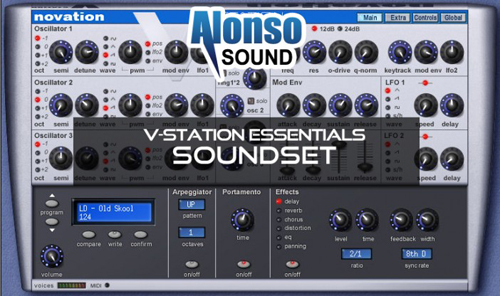 The outstanding synth engine is capable of creating thick sounds that sound great with V-Station’s warm liquid filter. Every patch is programmed to take full advantage of V-Station’s liquid filter. Each parameter in every patch can easily be edited to suit to your personal taste.